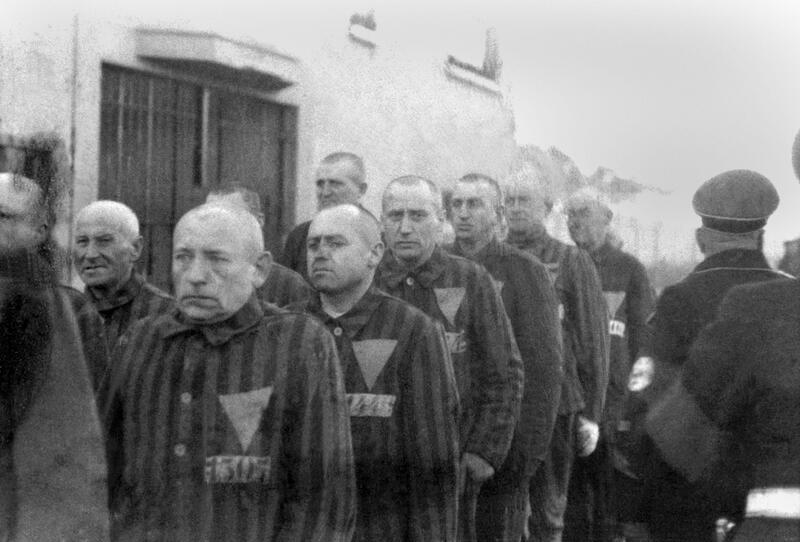 On International Holocaust Remembrance Day, when we remember the millions murdered by the Nazi’s, I would like to draw your attention to just one. 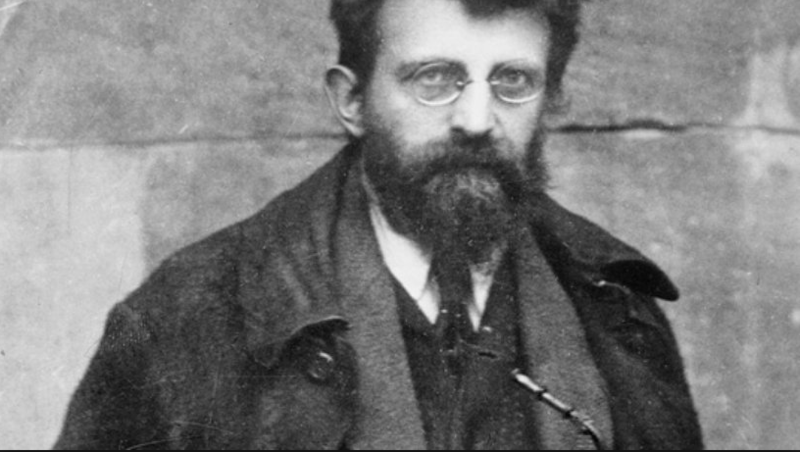 An astonishingly brave man named Erich Mühsam. 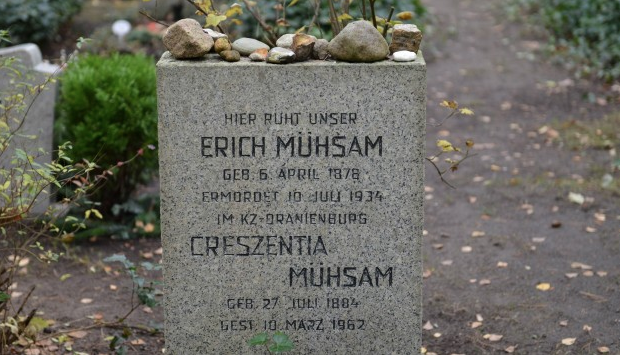 In 1934, after describing the Nazis as Mordbuben (murder-yobs) and Kriegshetzer (warmongers), the Communist novelist and pacifist Erich Mühsam was arrested and shipped off to Sachsenhausen concentration camp. A fellow prisoner described the results of the beatings he received on a daily basis, ‘His glasses were smashed and his teeth knocked…He developed a cauliflower-ear, with a large blister appearing out of his ear-hole. He was left for eight days in this condition without medical attention. 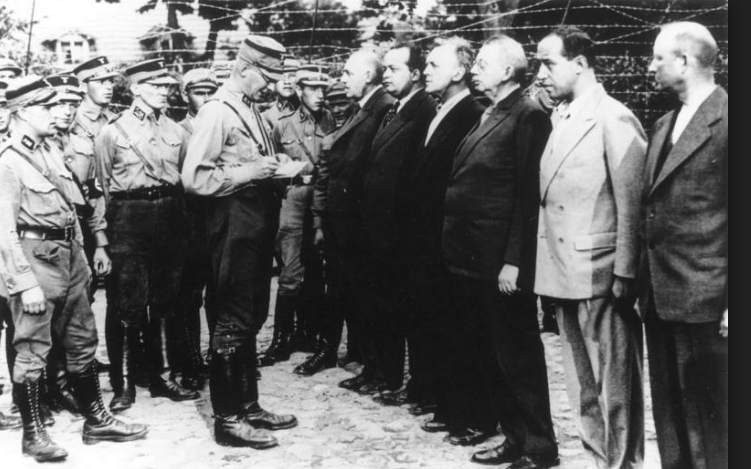 After July 6th, 1934, the camp was taken over from the S.A. 150 S.S. men and Mühsam’s ill-treatment became even worse. Aware they intended him to die as a result of beatings, overwork and starvation, he warned his companions they should not believe any claim by the authorities that he had committed suicide. 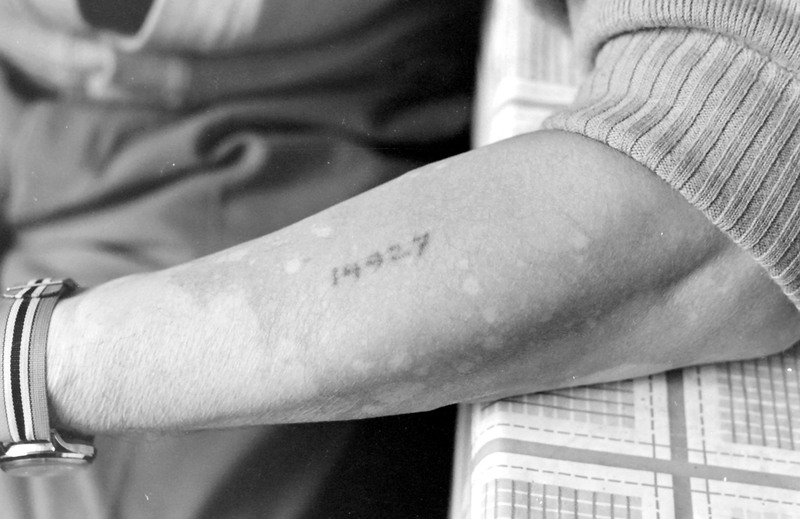 A concentration camp survivor shows me her prisoner tattoo, the ID number used by the Nazis to identify their victims. Today, if on no other days of the year let’s take a moment to remember Erich Mühsam and the millions of men, women and children who were murdered alongside him.